US superstar Pharrell Williams is coming to Glasgow's SSE Hydro on Tuesday July 19. 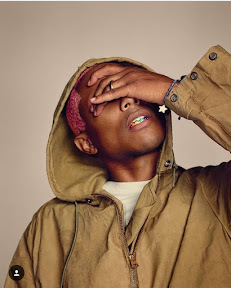 We've been told by one of our wild contacts that the Get Lucky and Happy hitmaker Pharrell will be in the UK supporting Stevie Wonder at the British Summertime show at Hyde Park in London on July 10 as well as playing dates in Switzerland, Rotterdam and Copenhagen and will head north to Glasgow for the Hydro gig. Pharrell who was one half of The Neptunes and also had a hit with Blurred Lines previously played Glasgow for Radio 1's Big Weekend. The Showbiz Lion also managed to have a dance with him when he played in Edinburgh for the MTV Awards. Tickets will go on public sale this Friday (June 3) at 9am.